At some point of our lives, each one of us has reflected on that question. It doesn’t matter how strong our faith is, I truly believe that we all have thought about it. In fact, we would like to know for absolute certain whether there is life after death. But there is a problem; we will have to die to see if there is something after passing. This particular question is answered very quickly and radically by the atheist – Once you die you are done! Meanwhile, Christianity assures that we are granted eternal life if we have accepted Jesus as our savior. In other words, after we pass away, we start living in spiritual form without the flesh. Based on my faith, I am at peace with the fact that I will join my LORD once I leave this world. Nevertheless, it is a fascinating topic that challenges my mind to search for arguments outside my religion to make a case for “Life after Death” or better said “Life after Life”. The reason why I want to find arguments unrelated to faith is simply because I like those kinds of challenges. I must also add that it is so much fun to be a Christian scientist! My career allows me to witness the process of dying. 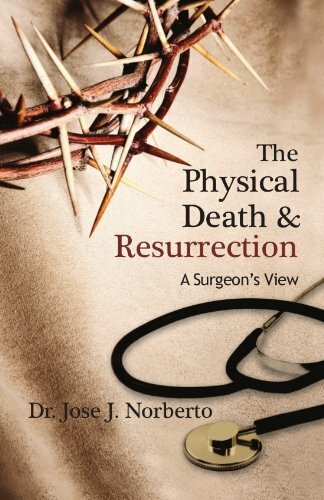 From medical school to my practice as a cardiac surgeon, I have seen people dying. Now let me explain to you what technology, nurses and physicians see when someone dies - They see no blood pressure, no heart rate or a flat line in the monitor, no respiratory movements, no brain activityand the body loses temperature. But what I see is that the energy that made the body function (BP, Heart rate, breathing, temperature and brain function) has left the body. As you have noticed I used the word “energy”, and now I would like to remind you of something you learned in high school’s physics “The energy is neither created nor destroyed only transformed”. We, Christians call that energy “spirit,” so the spirit has left the body. Another interesting issue relates to hundreds of patients that has had what is called an “out of-body experience”. This phenomenon has been studied by scientists. At this point, there are a lot of controversies. Some scientists explain these events as a dream like phenomena produced by the release of neurotransmitters in the brain in situations of low oxygen and cerebral blood flow. b) Those patients are describing a very similar experience- They have been in a very peaceful place, a place from where they didn’t want to come back. In fact, those patients lose the fear of death. c) It is near impossible that hundreds of people that have these experiences had a similar dream! More recently, these out of body experience have occurred to neuroscientists (neurosurgeons and psychiatrists) who also described a similar situation. One thing for sure and they have made it clear, they do know how to differentiate a dream from a real event! If you liked this blog, check out Rest On Me Here!